Looking to learn more about Facebook? Welcome to fourth part of the Making an Impression ads series. 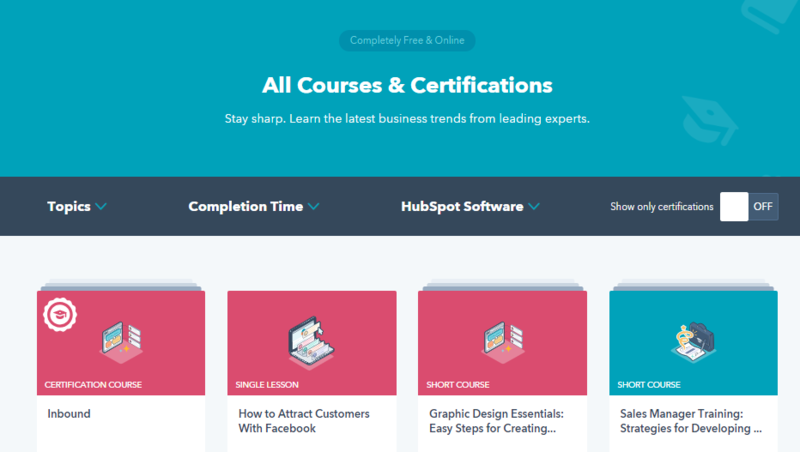 Before jumping in, make sure you're up to speed on the other parts of the series so that you're ready to enter this article as an inbound ads pro! It's that time of year again. New year, new you. It's that special time when almost everyone tries to take another stab at becoming their best selves. To save more, eat less, and maybe join a new gym along the way. A time for new beginnings. Statistically, only a fraction of people will succeed. Goals can be difficult to achieve. According to Psychology Today, one of the best ways to achieve one of your new years goals is to start small and to ground your resolution into a previously established habit. Now, you may be thinking, great! But how is this related to advertising? Start this year off right by bringing your inbound ads strategy to the top of your resolution list. 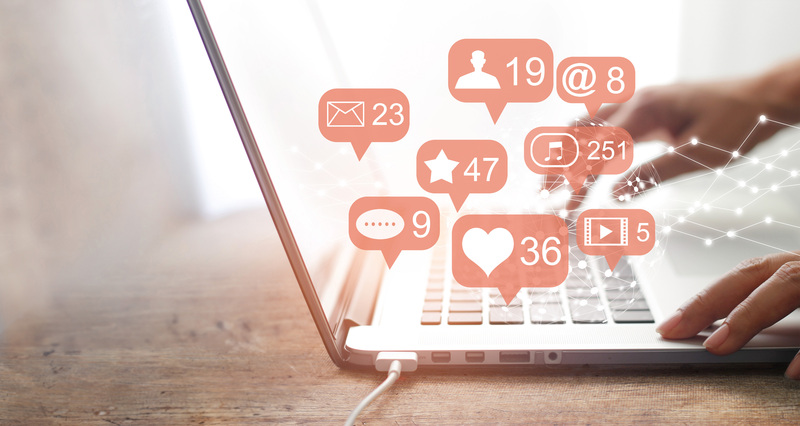 Create meaningful and relevant experiences on platforms like Facebook or Google to ensure you're getting the most out of your marketing efforts. Admittedly, this may seem like a lofty goal. But, if you're an inbound marketer, you've already done most of the work. What's better? You've already got the necessary habits to set yourself up for success. After reading the second part of this series, you know the importance of the buyer's journey and your buyer personas. Like all other aspects of inbound, these elements can help ensure your ads align with the interests of your prospects and customers. Using this same engrained mental model, you can get started with your ads strategy today. Depending on the preferences of your buyer persona, you'll be working with search engines, social platforms, or both. To understand how you should be optimizing your advertising strategy for either, first reflect on the experience each optimizes for. Typically, you'll turn to search engines when you're looking for an answer to a problem. Maybe this is a place to eat near you, where you can get your car fixed, or what the weather is outside. You're probably looking for that quick answer. You're likely searching for something in particular. Conversely, you may log onto a social platform with no clear directive in mind. You could want to connect with friends, read the latest news they shared, or just looking for a way to kill an hour. Each type of platform is used differently. For this reason, search engines— like Google— are often best used for intent based advertising, whereas social platforms— like Facebook or Linkedin— are often based for interest or demographic based advertising. Ads are all about being relevant. You can use the different platforms to be relevant based on the type of person you are trying to reach or directly through the problem they're trying to solve. You target ads on search based on keywords. As a result, ads for prospects in the awareness stage are going to contain broad keywords to aimed at answering some of those initial, exploratory questions. Like all other marketing materials, ads aligned with this stage should help frame and give name to the problem they are experiencing. If you're a content marketer, you're likely already be running exercises to help you understand what questions are likely being asked. You're likely already thinking about the keyword you want to rank for in your SEO strategy. You can use these keywords to feed your advertising strategy. In this way, adding inbound advertising aligns with the work you're already doing and the habits you already have to ensure your marketing campaigns are successful. Naturally, as your buyer moves through their buyer's journey, your going to get more specific with these keywords. In the consideration stage, you'll want to target keywords aimed at addressing strategies or approaches that could help your prospect solve their defined problem or opportunity. 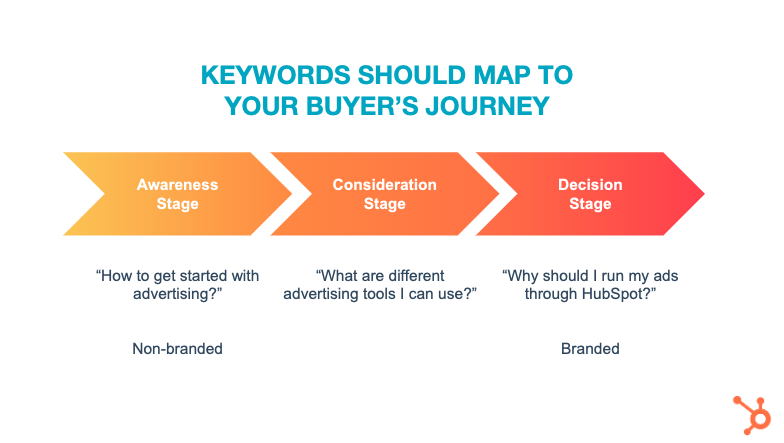 By the time you get to the decision stage, you'll want to use those branded keywords that differentiates your product or service from the crowd. Think of ads in this stage as just another piece of content that aims to get your prospect to choose your company to solve its problem. Social platforms make it a little more interesting when it comes to aligning with your audiences. For awareness stage ads, you'll want to start very broad. Demographic audiences are a simple way to start. You can use the information you've collected about your buyer persona — age, gender, location, etc. — to inform they type of people you want to target on the platform. 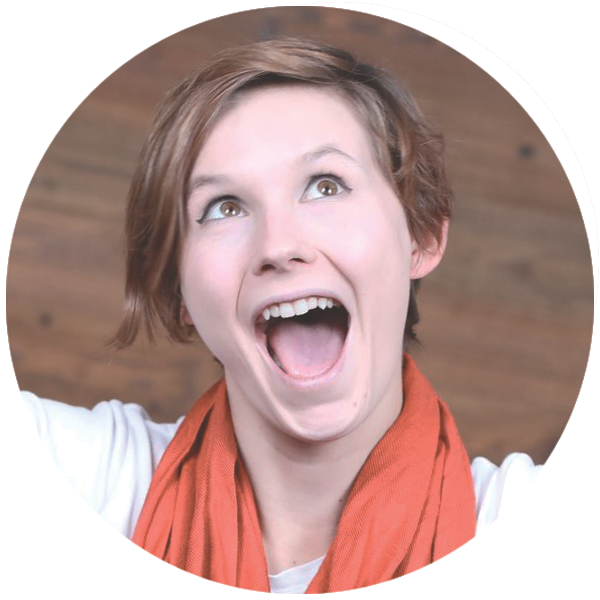 Still struggling with buyer personas? Use the free Make My Persona tool to get started today! Lookalike audiences can also be a great way to start. Today, social networks collect an unprecedented amount of information. Using lookalike audiences, you can have the platforms target people with your ads that share characteristic with people that are in any of your existing audiences. 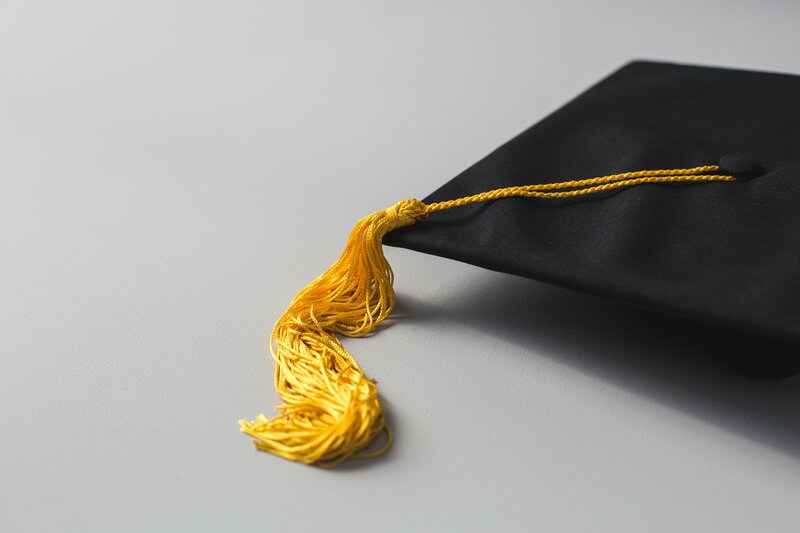 You can target more qualified leads with your consideration stage content. For these audiences, you may look to create audiences based on people who have visited your website previously. If you're using the HubSpot ads tool, based on active lists you have segmenting contacts in your CRM. This isn't that different from the segmentation strategy you're already applying to your email marketing. Understanding the customer journey and making sure everyone has the best experience possible with your company applies in the same way to your ads strategy. 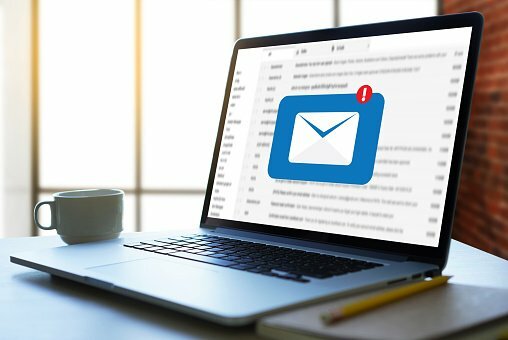 Instead of emails, list audiences ensure that you are reaching the right people and they're seeing the content that is uniquely personalized to them. 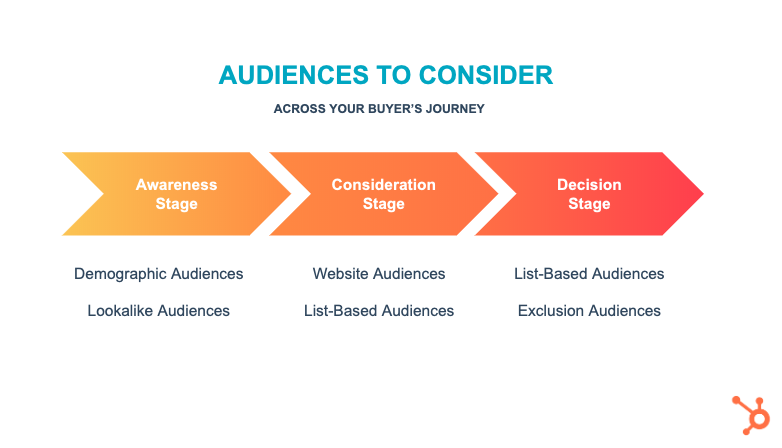 For your decision stage ads, you can use a mixture of list based audiences and exclusion audiences to ensure you're not wasting money on people that aren't interested. Say you have a new, exciting campaign aimed at creating new customers. You wouldn't want current customers to see those ads! The content wouldn't be relevant, helpful, or timely. No need to spend excess money. These strategies are just the tip of the iceberg on ways you can better align with your audience. Using the habits you already have as an inbound marketer, you can effectively work your ads strategy into your day to day. So don't let this resolution fall to wayside. Get started by optimizing your audiences today!